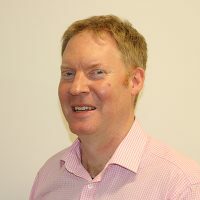 Nick Evans is Head of Planning at Sport England with overall responsibility for Sport England statutory role on the protection of playing fields and ensuring the land use planning system helps deliver sport and physical activity into everyday life. A self-admitted data and technology geek, he has previously led on a number of data related projects, including Active Places, Data Platform Proof of Concept and the development of the OpenActive programme with the Open Data Institute. He has a particular interest in Smart Cities and is currently heading up Sport England’s thinking around Active Environments.